A Public Interest Litigation has been filed in the Supreme Court by NGO ‘Common Cause’ and Dr. S.P. 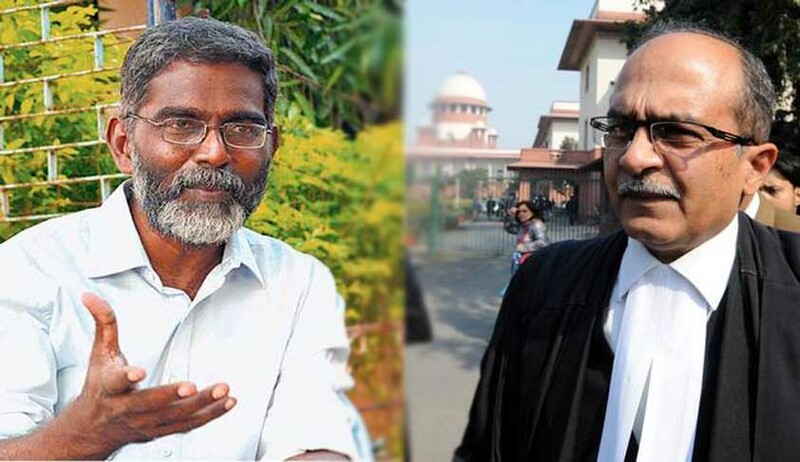 Udayakumar (anti-nuclear activist against whom sedition charges have been made) seeking urgent intervention of the Supreme Court to address the misuse and misapplication of Section 124A (sedition) by successive governments leading to routine persecution of students, journalists and intellectuals engaged in social activism. The Petition filed through Advocate Prashant Bhushan alleges that the Sedition charges are framed against Citizens with a view to instil fear and to scuttle dissent and are in complete violation of the scope of sedition as laid down by a constitution bench of Supreme Court in Kedar nath v State of Bihar [1962 Supp. (2) S.C.R. 769], which is the locus classicus on the interpretation of sedition. As per the Constitution bench judgment in Kedarnath vs State of Bihar only those acts, which involve incitement to violence or violence constitute a seditious act. In the various cases that have been filed in the recent years, the charges of sedition against the accused have failed to stand up to judicial scrutiny. The petitioner is therefore seeking a strict compliance of the Constitutional Bench judgment in Kedar Nath in which for the very first time scope of sedition as a penal offence was laid down and it was held that the gist of the offence of sedition is “incitement to violence” or the “tendency or the intention to create public disorder”. It is averred in the Petition that, more than fifty years after Kedarnath judgment, the provision under Section 124A is being allowed to be put to use irrespective of whether or not the alleged act or words are, in fact, seditious acts, or words constituting a “tendency to cause public disorder or incitement to violence”. In carrying out arrests and slapping charges, the police and the governments have rarely, if ever, respected this restriction. Successive governments have blatantly used Section 124A to stifle the voice of dissent and to further their political goals. It is also submitted that though a very small number of sedition cases leads to actual conviction, it causes harassment of individuals till the time judgment comes out, which in various cases takes many years to come. Meanwhile, persons charged with sedition have to live without their passport, are barred from government jobs, and must produce themselves in the court at all times as and when required. A person so charged also has to spend money on regular legal fee. The charges have rarely stuck in most of the cases, but the process itself becomes the punishment. The petitioner prayed for the issuance of an appropriate writ, order or direction making it compulsory for the concerned authority to produce a reasoned order from the Director General of Police (DGP) or the Commissioner of Police, as the case maybe, certifying that the “seditious act” either lead to the incitement of violence or had the tendency or the intention to create public disorder, before any FIR is field or any arrest is made on the charges of sedition against any individual. It is also prayed that, in cases where private complaint alleging sedition is made before a Magistrate, it should be made compulsory that the order taking cognizance certifies that the “seditious act” either lead to the incitement of violence or had the tendency or the intention to create public disorder. Furthermore, investigations and prosecutions must be dropped in cases where such a reasoned orders as prayed for above is not provided and the act in question involved peaceful expression or assembly. Two days back the Bengaluru Police registered a Sedition case against Amnesty International India for organizing an event as part of a campaign to seek justice for human rights violations in Jammu and Kashmir alleging that anti national slogans were raised in the event.